We were the winners in Campfire Magazine’s autumn competition to win an Anevay Horizon rocket stove. Campfire Magazine is for everyone who loves good food and the great outdoors and we would like to say a big thank you to them for featuring our Horizon rocket stove cooking adventures in their fantastic magazine. About B&T they say ‘he’s been testing out his cooking skills using it and here are the delicious-sounding results’…and about themselves, ‘Well, first of all, we camp…a lot! We’re also a bit food obsessed, so we launched Campfire Magazine to share our thoughts and finds, but also because we want to create a community of, dare we say it, gastro-campers, who’ll share their ideas and discoveries too’. 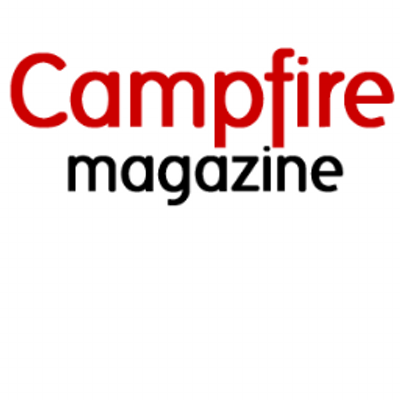 If you want to know more, why not check out their blog at campfiremag.co.uk or their tweets @CampfireMagUK for news, reviews and tips on camping and cooking kit, recipes, food and special places to stay or visit.